The Cheddarific Geronimo Stilton 'Live' Show! The thing with the boys growing up at such an amazing speed is that they hardly get excited about Meet & Greet sessions with cartoon characters anymore. I still remember the times when I braved long queues at shopping malls just so that both Ash and Ayd could watch Barney or Elmo prance around on stage. These days, they reluctantly tag along for such shows for Ale's sake. But all that reluctance soon vanished when they realised that the cartoon character in question comes in the form of a giant mouse. No, not the Disney kind. But this. If you know the boys, you will know they are huge fans of Geronimo Stilton. They have quite the number of his books, with 'The Kingdom of Fantasy' series ranking as their fave ones of the lot. So when they got wind of Geronimo's first-ever LIVE fabumouse family vacation show in Singapore, they were thrilled to bits. I think this must be one of the rare occasions that both Ash & Ayd proactively clamoured to be brought to a mall show! And judging from the audience which consisted of both older kids and adults, it was clear that Geronimo and gang were not only popular with the usual preschool crowd. 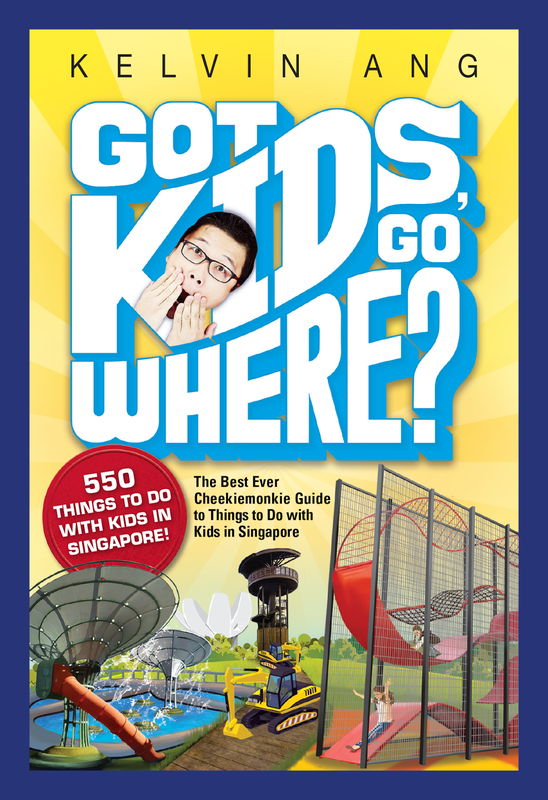 As with all mall shows, the storyline is straightforward enough: Joined by his beloved nephew Benjamin, naughty cousin Trap and imaginative sister Thea, Geronimo needs the help of all daddies and mummies, boys and girls in the audience to help decide where they should jet set off to. And while older kids will revel in seeing Geronimo sing, dance and jive in front of their eyes, younger kids will no doubt look forward to an interactive adventure filled with games, dance, songs and simply, a whole lot of fun! What’s more, the Meet & Greet sessions are open to all fans! Yes, no purchase is required! Simply queue for a Meet & Greet pass 1 hour before each show and be the first 50 families to Meet & Greet Geronimo, Thea, Trap & Benjamin Stilton after the show. Suffice to say, this totally made the boys' day. Oh, and don't miss the roadshow by Popular Bookstore beside the performing area too! 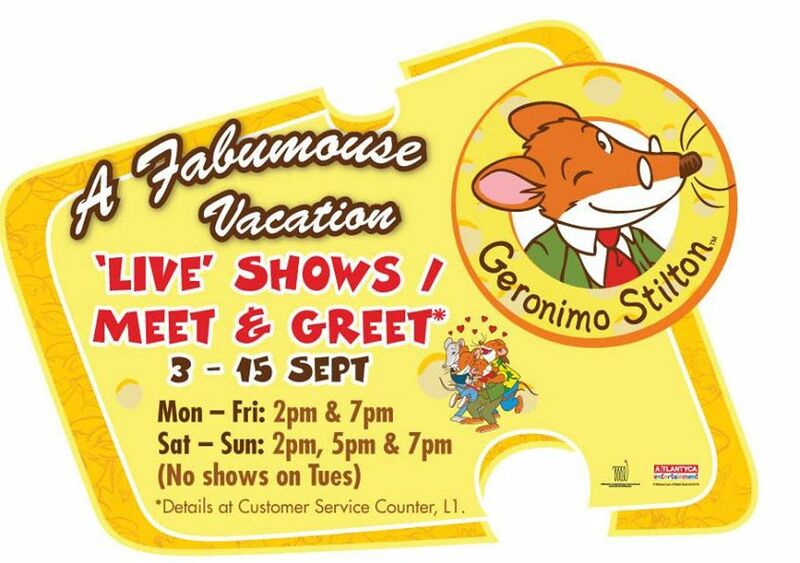 Geronimo Stilton books are going at a 15% discount - if you buy 3 books, a Geronimo badge will be given away too - while you can purchase the DVDs at 50% off! *Meet & Greet passes are given out 1 hour before each show. 50 passes will be given out for each show. No purchase required.